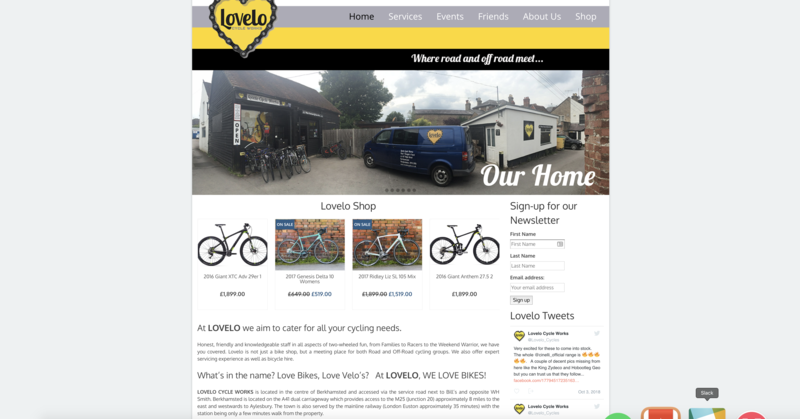 Lovelo Cycle Works is a Road and Mountain Bike Shop in the heart of Berkhamsted, Hertfordshire. 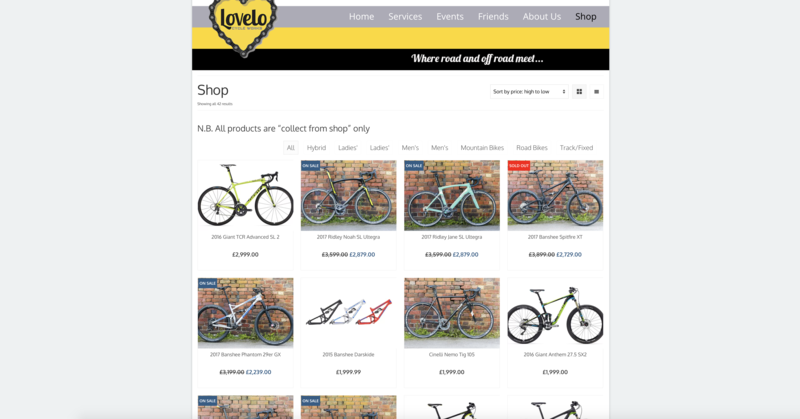 Lovelo is not just a bike shop, but a meeting place for both Road and Off-Road cycling groups and is at the heart of the bicycling community in Hertfordshire and the Chilterns. The website utilises WordPress using a custom theme and incorporates an e-commerce shop to sell bikes. The site is hosted on our dedicated GingerPower Servers and went live over the summer of 2016. 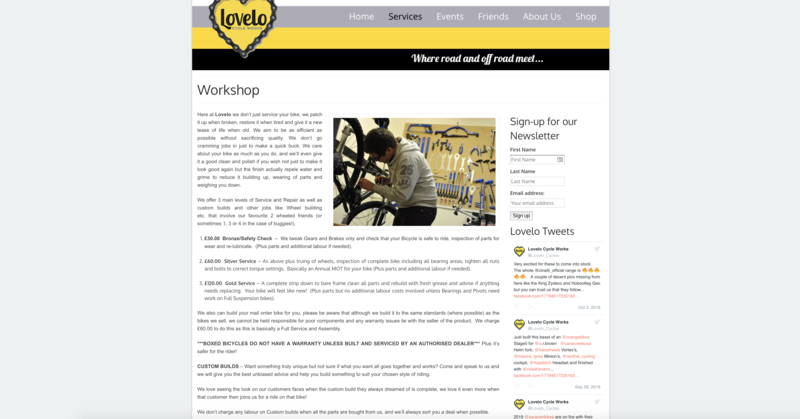 Lovelo Cycle Works and GingerPower are currently working on phase two of the website; to digitise their maintenance and servicing diary and incorporate it into the WordPress site so that customers can book their bikes in for serving online. This part of the project is expected to go live in early 2017.